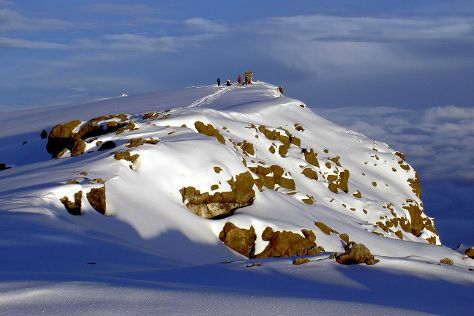 Get outdoors at Mount Kilimanjaro and Ascend Tanzania. And it doesn't end there: see the sights as you ascend with a climbing tour, savor a delicious cup with a coffee and tea tour, and soothe aching muscles at some of the top local wellness centers. For reviews, photos, where to stay, and more tourist information, read Moshi itinerary planner. Cape Town, South Africa to Moshi is an approximately 15-hour flight. You can also drive. Traveling from Cape Town to Moshi, you'll lose 1 hour due to the time zone difference. Traveling from Cape Town in May, Moshi is much warmer at night with lows of 26°C. On the 15th (Mon), wrap the sightseeing up by early afternoon so you can travel to Serengeti National Park. Kick off your visit on the 16th (Tue): explore the striking landscape of Seronera. On your second day here, explore the striking landscape of Serengeti National Park. To find traveler tips, other places to visit, reviews, and other tourist information, you can read our Serengeti National Park itinerary maker. Traveling by combination of bus and flight from Moshi to Serengeti National Park takes 4 hours. Alternatively, you can drive. Finish your sightseeing early on the 18th (Thu) so you can drive to Ngorongoro Conservation Area. 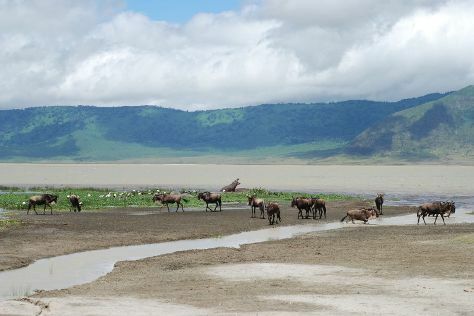 On the 18th (Thu), explore the striking landscape at Ngorongoro Crater. To find more things to do, traveler tips, ratings, and tourist information, go to the Ngorongoro Conservation Area trip itinerary builder. Drive from Serengeti National Park to Ngorongoro Conservation Area in 2.5 hours. In May, plan for daily highs up to 25°C, and evening lows to 19°C. Finish up your sightseeing early on the 18th (Thu) so you can travel back home.